Posted June 11th, 2015 by Sue & filed under Centre News. The Centre has a hoist! It does not come with a sling, we decided it would be better if the member brings in their own one from home, they will be compatible with our hoist. 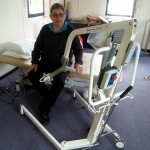 Tricia (Physio) is the only person trained in it’s use. 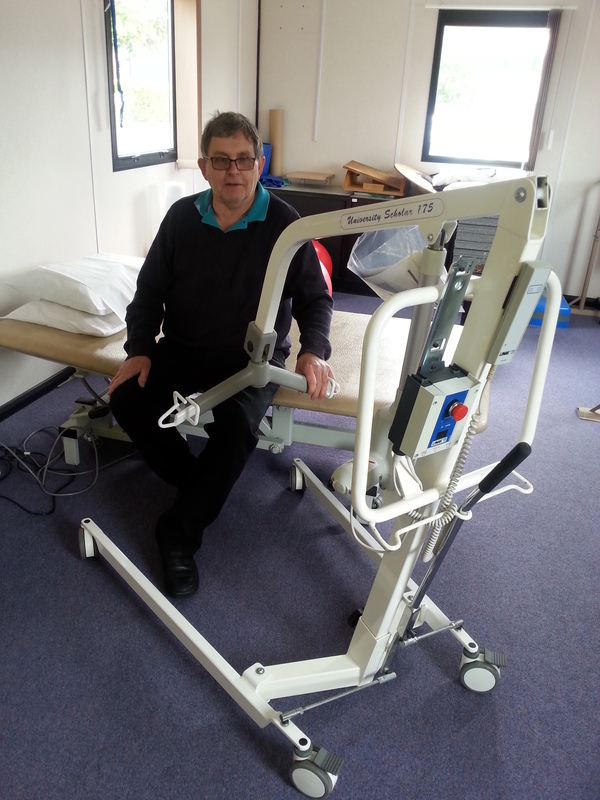 It will enable Tricia to assess people properly on the bed and can also be used with any of the gym equipment, if necessary.